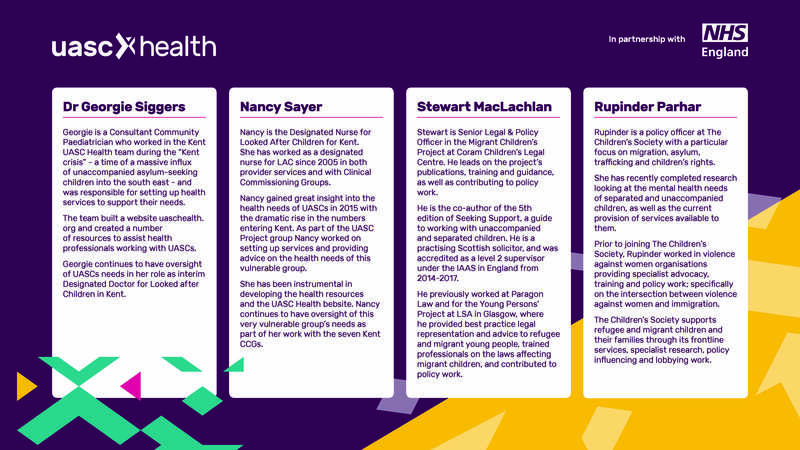 Improving Outcomes Through Collaboration 2018 was two interactive conferences that looked at improving the journey and outcomes for unaccompanied asylum-seeking children. Using presentations from experts in their field, interactive Q&A sessions, film and animation, we explored safeguarding, mental health and the legal dynamics, and heard the child’s voice throughout. Below you’ll find the presentations, films, animations and other material from the two days. They are presented here for use with your own teams and to share the learning across the UK. The presentations from the two days are below. These have been approved for use by their respective authors, and may vary slightly from the full versions presented. Unfortunately Young Minds don’t allow their presentations to be hosted online. 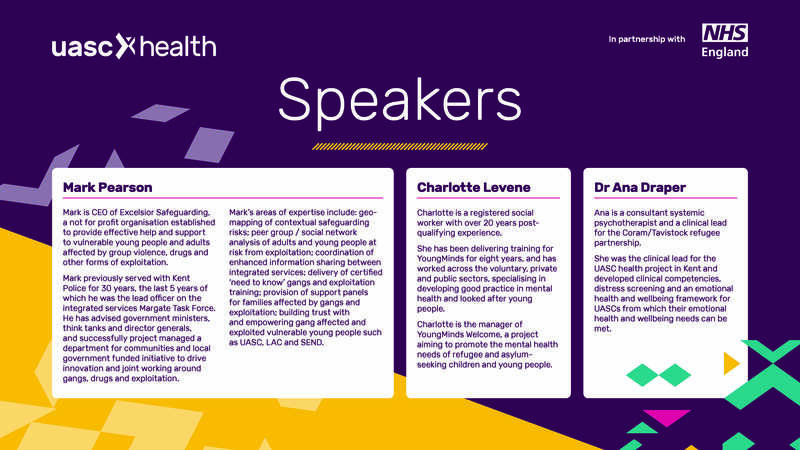 If you’re looking for Charlotte Levene’s presentation on child mental health please contact the team at Young Minds directly.